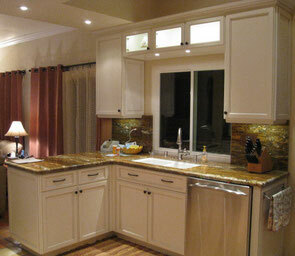 Spaulding Pacific is a full-service remodeling company in Thousand Oaks, CA. We handle all phases of residential renovation from space planning and design through construction and finishing. In our more than 25 years of service to the Ventura and Los Angeles counties, we have built a reputation for outstanding workmanship, creative design solutions, and reliable, thorough service. Our company focuses on detail-oriented quality and client satisfaction throughout the entire process. Our skilled crew complete your project with ease and expertise, no matter how large or small the project. Subcontractors are licensed, bonded, friendly and have many years of experience in the industry. To see samples of our work, visit our portfolio section. Project bidding or time and materials estimates offered. Hourly rates for handyman services given upon request with a four hour minimum. Call or contact us today to set up an appointment for your free estimate! General Contractor License #B697937 Bonded and insured. We'd love to look at your project and offer a complimentary estimate. Use our contact form to email us. Click here for some helpful guidelines on planning your remodel.